Orlando is characterized as the theme park capital of the world. So, when it comes to embarking on Orlando holidays, the first things that come to minds are Walt Disney World, Universal Orlando, SeaWorld Orlando and LEGOLAND Florida. Indeed, they are great, but there are even more in Orlando than theme parks. Cheapfaremart narrates here a list of must-see places in Orlando besides these theme parks. Here you go. 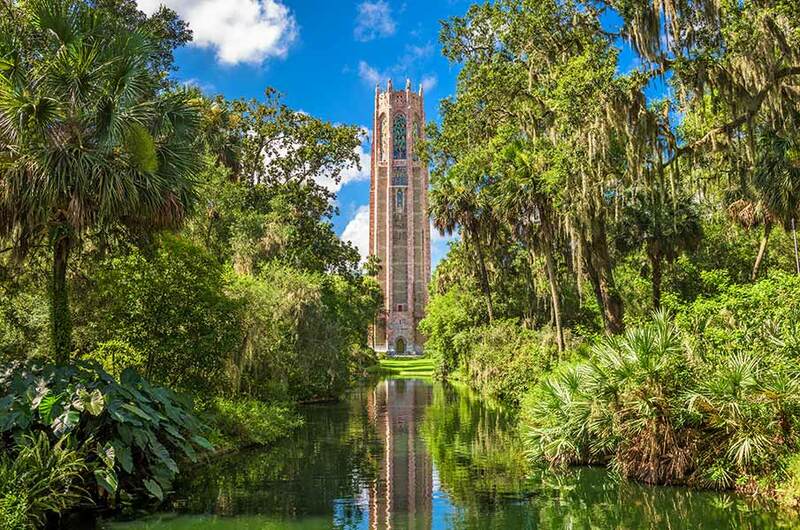 If you are tired of the hustle and bustle of the urban life, it’s best to take refuge in Bok Tower Gardens which has got a sprawling 700 acres of the area occupied with citrus groves, woodland gardens, and nature trails. The garden is stated at a 30-minute drive from Orlando. If you are in proximity to LEGOLAND® Florida, it might take around 15-20 minutes. This conservation land with breathtaking sightseeing is heaven for endangered plants. If you are in the pursuit of leisure, head to the Central Florida Zoo. This 23 acres of native garden is a paradise for more than 400 animals representing about 150 species. So take a stroll through the vivid flora and fauna. What you might have seen on Discovery Channel is now in front of you. Visit the insect zoo and reptile house. Want some fun and water sports? A splash playground is there for you. Want to have an aerial view of the zoo? ZOOm Air Aerial Adventures zip line will make your dream come true. It’s a 20-minute drive from Orlando. Ticket Pricing: Not Available. However, free parking and picnic areas a vailable. 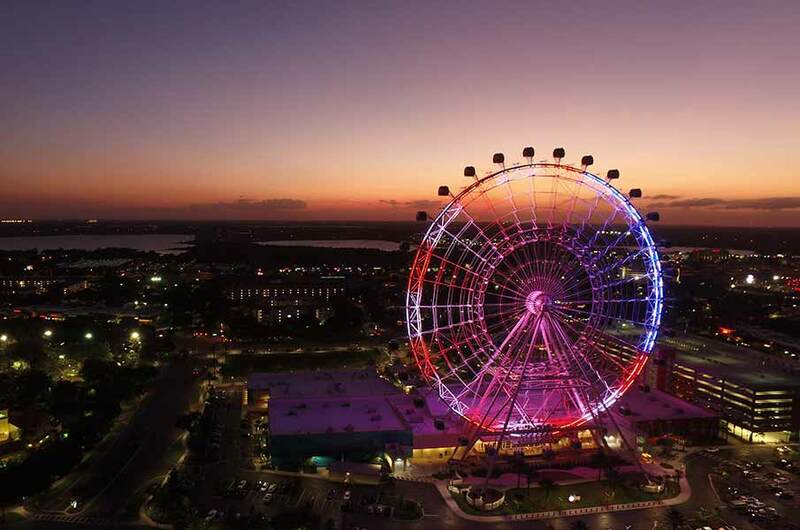 This is a 400-feet (122 m) tall giant ferris wheel that enables you to experience a breathtaking 360-degree view of surrounding Orlando. Located at I-Drive 360, on the East Coast of the United States, this one of the top things-to-do in Orlando keeps you up in the air for 23 minutes. 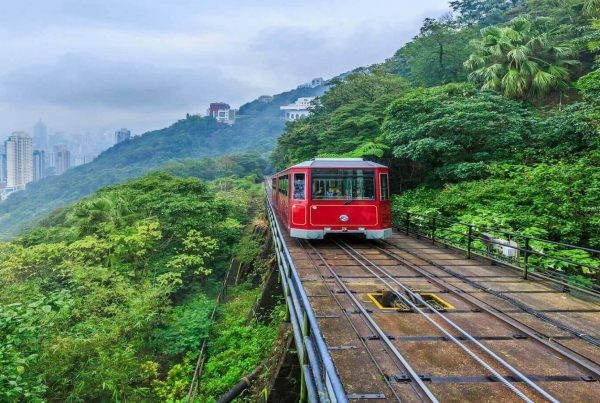 Each capsule that accommodates riders is equipped with Apple iPad Air tablets to let you explore and learn more about the landmarks and surroundings in a language you speak. Travelling 45 minutes north of Tampa, you happen to be at a place that reminds you of Jurassic Park. 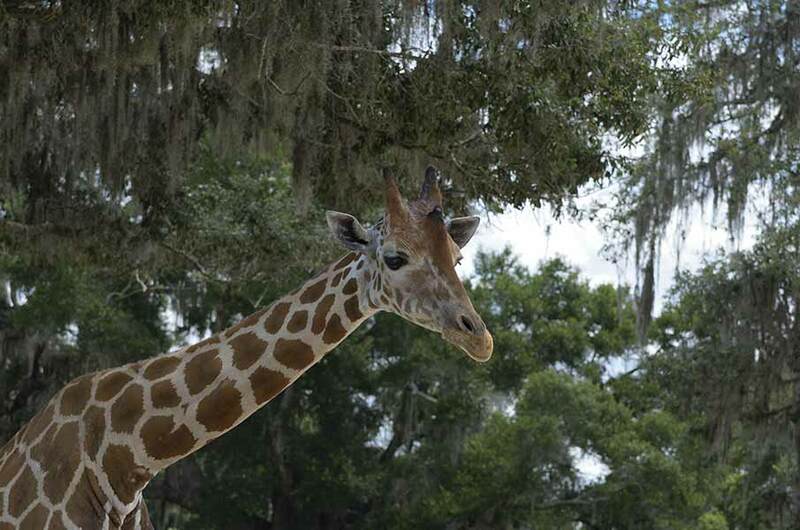 Identified as one of the best places to see in Orlando, 47 acres Giraffe Ranch is nestled in Pasco County. 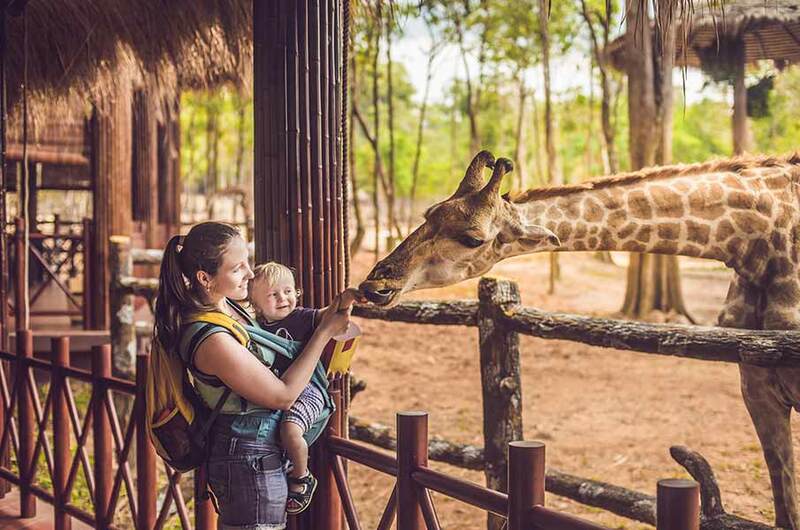 On the lush-green landscape comprising of huge live oaks and open grasslands, you can witness giraffe and other herbivore and carnivore species taking a stroll in leisure. Not just watch but also play with the animal. Feed them raw green grass with your hand. You will realize that height and strength is something that truly brings in modesty in behavior. 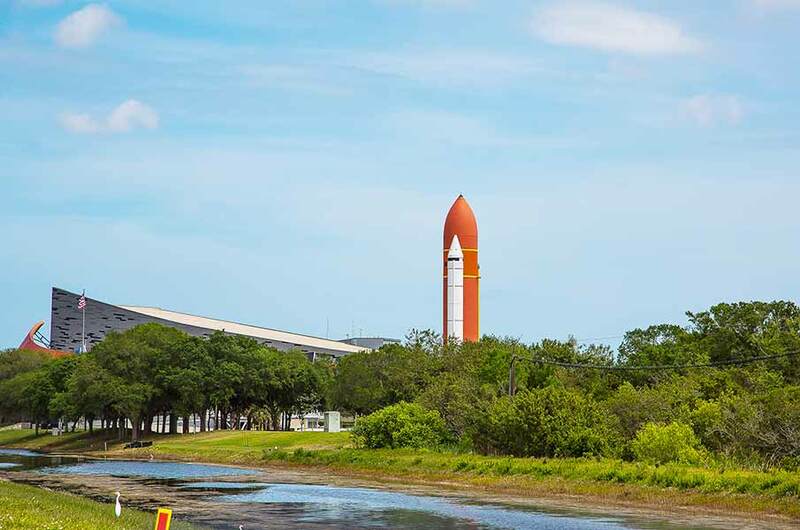 If you are focused on popular things to do in Orlando holidays for Adults besides theme parks, the Kennedy Space Center is a must-visit place. This is the very ground that provided Launchpad to world-famous spaceflight including Apollo, Skylab and Space Shuttle. There are 700 facilities grouped across the center’s 144,000 acres. So you need a complete day to explore the entire center. Don’t forget to check the 525 ft tall Vehicle Assembly Building for stacking NASA’s largest rockets. Interested in more? Check the Operations and Checkout Building, which houses the astronaut crew quarters, and 3-mile-long Shuttle Landing Facility. 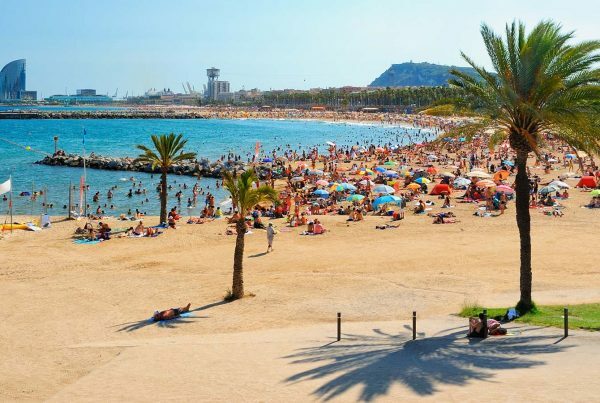 It’s easy to find nonstop cheap flight tickets to Orlando from Chicago, Las Vegas, New York and other US-cities with leading airlines including Spirit Airlines, Frontier Airlines, United Airlines and others. It takes around. An Orlando flight from Chicago takes around 3 hours to land to Orlando International Airport. A flight from Las Vegas takes around 7 to 8 hours. Hence, Orlando serves as one of the best weekend getaways in the US for residents. 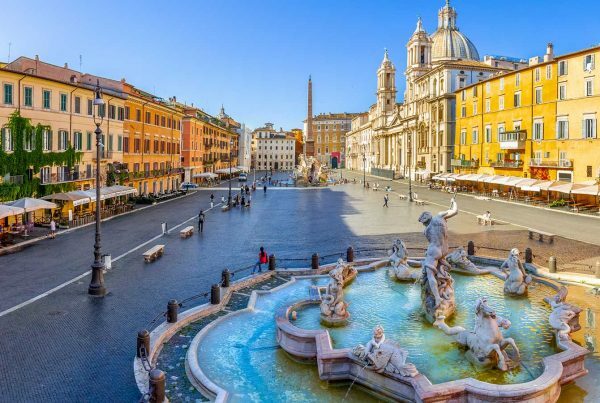 On Cheapfaremart, compare the airfares with different airlines and book cheap flights to Orlando to give yourself and your beloved the best vacation treat. in hearing. Either way, great website and I look forward to seeing it evelop over time. This was exactly what I was looking for on this topic. Thank you! Hey! Awesome post! Thank you for this info, it will surely help me.